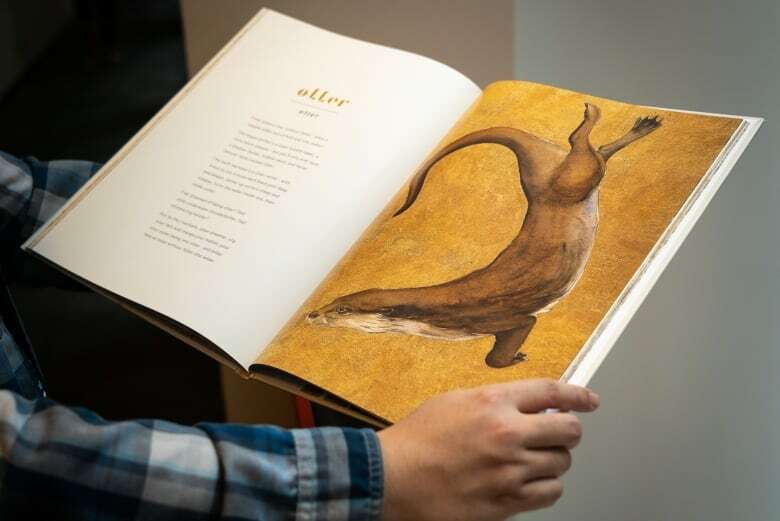 Fern, newt, and otter are just a few of the entries you'll find in a new children's book, The Lost Words. 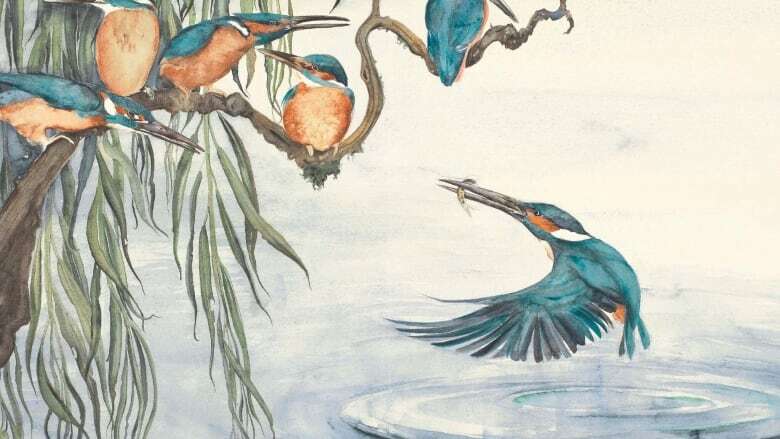 Author Robert Macfarlane and illustrator Jackie Morris have imbued a sense of magic in words associated with nature that were removed from the Oxford Junior Dictionary. This story was originally published on Nov. 2, 2018. 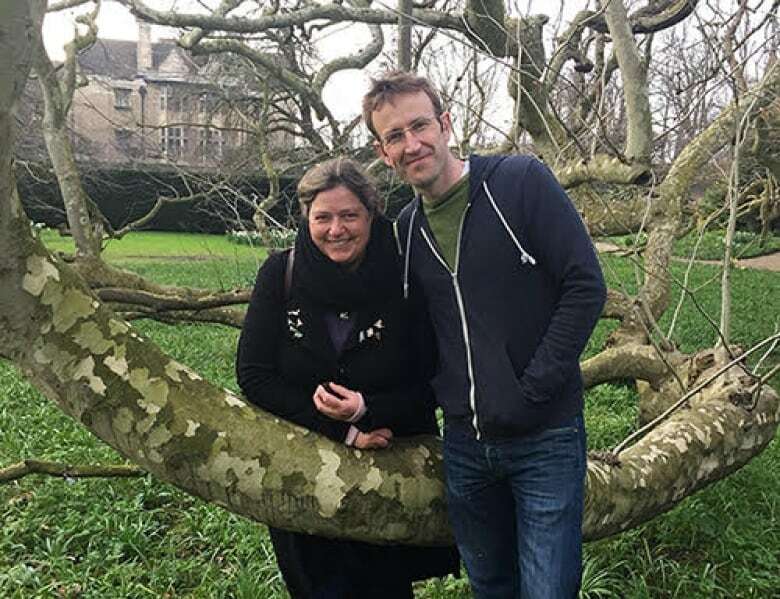 Robert Macfarlane wanted to give new life to words that had been "lost" after they were dropped from the Oxford Junior Dictionary. He was concerned about the 2007 edition, which omitted words related to nature such as acorn, bluebell, kingfisher and wren. They were replaced by words like broadband, celebrity and voicemail. 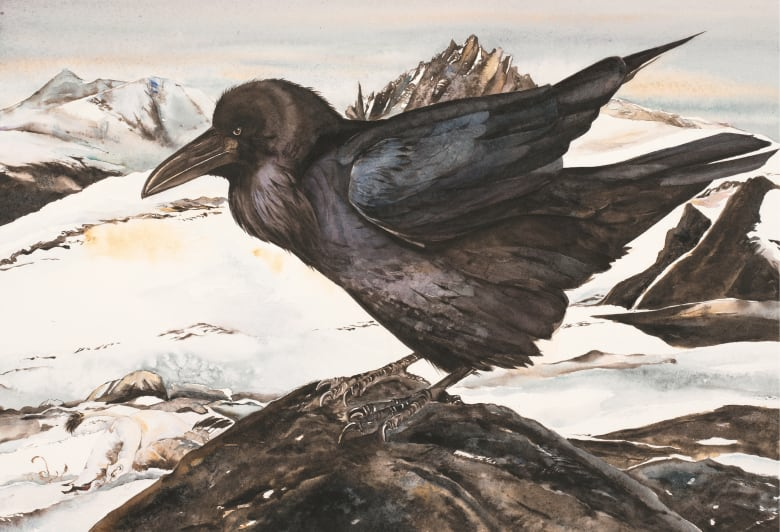 He partnered with illustrator Jackie Morris have given these words a new home in The Lost Words. Macfarlane spoke with As it Happens host Carol Off from the University of Cambridge, where he teaches literature. Here is part of their conversation. Robert, when your Canadian publisher told me about this book, I was picturing an informed reference book. I was not prepared for the volume that arrived — the beautiful illustrations and poems in this work. How did you decide to do it this way? We knew we wanted to make a spell book, which carried with it the possibility of magic. And we knew for that to happen, it needed to be an object that people marvelled at, that they opened like a treasure chest or walked into like a landscape. And we were lucky enough to have publishers who believed that to be the case. And so it's proved. Working with this extraordinary artist, Jackie Morris, who worked a lot with gold leaf — a magical substance on the page — we made this book that is as big as some of its readers. Let's open this treasure chest. 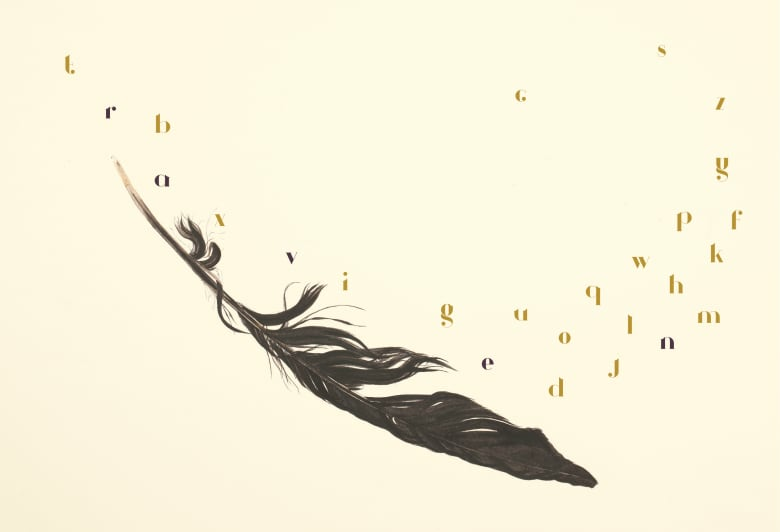 You start flipping through, [and see] each of the words that you have celebrated. There's about three pages dedicated to each one. Just describe what happens in those pages. Yeah, so the book is simple as could be, really. It's just 20 "lost" words. It begins with acorn. It ends with wren. And it makes a crooked, almost A-to-Z through heron and kingfisher and bluebell and otter all the way to the end. And for each of those words, we wanted to make a summoning back — a magical procession. So you open the first page for acorn, and nothing is there. Acorn is gone. All that the acorn leads to is gone. The oak tree is gone. The forest is gone. There's just a page of almost absence. But scattered across it are letters. And some of those coloured letters, which get picked out by the children, spell acorn. And once those letters have been found, you turn the page, and there is acorn, back on gold leaf, painted by Jackie. And there is a full spell written by me, to be read aloud by the children, by their parents, anyone. Once you've cast your spell, as it were, you turn the page finally, and there's a glorious double page from Jackie of watercolour paintings. And for each of these words from — acorn, adder, bluebell, bramble, fern, heather, kingfisher, otter, raven, willow, wren — why is part of the magic that these words should be said aloud? It's wonderful to hear you say them. It's the first time I've heard them said in a Canadian accent, and I hear them differently again. And perhaps that's a sort-of answer to your question: that when we say things, that is where literature begins. And to put them back in the mouth is to put them back in the mind's eye. We spell things aloud. Magic works with speaking aloud. And so we wanted to catch a little of that. Why were these words taken out of the Oxford Junior Dictionary? They were taken out because they were not being used enough. That's the simple answer. It's not the dictionary's fault. This is a dictionary for children aged roughly six to eight. It doesn't have many words in it. So they have to take hard choices about what language is relevant to that age group. But the words that went in were very telling: in went broadband, attachment, voicemail, you get the picture. This was a moment in lexicographic analysis which spoke of a much bigger moment in culture, where childhood is becoming virtualized, interiorized — and nature is slipping from childhood, as it is slipping from all our lives. So the book was kind of a protest not against the dictionary, but against the loss. But why do children need to name nature? Is it not just enough to be in it? That's a great question. Why does it matter? Because children are brilliant at nature, right? They run into it, they clamber over it. If you give them a chance, they're naturals at nature. They taste it, and eat it, and touch it. But they also love naming it. Children are miraculous namers. And to name something, I think, is to know it a little better, to see it a little more clearly. And maybe to care for it a bit more. If you see only trees as green, if you can't name acorn or otter or kingfisher — some of these most basic of creatures we share our lives with — then I don't think you care for them, really. Written by Katie Geleff and Kevin Ball. Interview produced by Katie Geleff. Q&A edited for length and clarity.